Born and raised at Moose Factory, Ontario of Cree mixed ancestry, he worked as a school teacher at Moose Factory from 1890 to 1892. 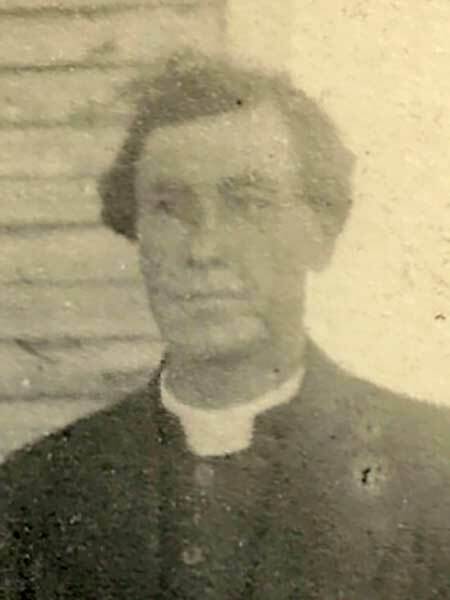 He spent two years at the Montreal Diocesan College before his ordination as an Anglican Deacon in 1894, then served as an assistant missionary at Moose Factory from 1894 to 1895, and missionary to the Ojibway at Fort Hope, Osnaburgh and Marten’s Falls in the District of Patricia from 1895 to 1899. He was ordained as an Anglican Priest in 1898. He served as incumbent of St. John’s Parish at York Factory from 1898 to 1951 and was Archdeacon of the District of York, Diocese of Keewatin, headquartered at York Factory, from 1917 to 1950. It is alleged he rose no higher than Archdeacon in the church hierarchy due to his Aboriginal heritage. He was also dispenser of medicine for the Department of Indian Affairs at York Factory and Registrar of Vital Statistics in Manitoba for the region he served. He was a Director and Trustee of the Indian Day School from 1900 to 1950 and Director and Secretary-Treasurer of the York Factory School from 1920 to 1950. Faries contributed articles on the lives of Bishop Horden and Archdeacon Vincent in Leaders of the Canadian Church (1920) and was the author of Diocese of Keewatin and Mission of Churchill (1930). He collaborated with Archdeacon Mackay in Revision of the Cree Bible (1914) and edited the Cree Dictionary (1938). He contributed a number of articles to magazines primarily relating to missionary and church activities. In 1938, he received an honorary doctorate from St. John’s College. He retired to Toronto, Ontario in 1951 then moved to Fort William (now Thunder Bay), Ontario where he died on 13 March 1964. “Ven. Richard Faries – last Moosonee link” by T. C. B. Boon, Winnipeg Free Press, 14 March 1964, page 32. The New Peoples: Being and Becoming Metis in North America edited by Jacqueline Peterson and Jennifer S. H. Brown, Winnipeg: University of Manitoba Press, 1985. Aboriginal Ontario: Historical Perspectives on the First Nations edited by Edward S. Rogers and Donald B. Smith, Dundurn, 1994, page 349. This page was prepared by Rob McInnes.